Are your Digital Photos Safe? The three things that people grab in case of a household fire or flood are people, pets and photos. Creating a Digital Photo Hub and reviewing your photo backup plan will ensure that your digital photos are safe and secure. What is a Photo Hub and how do I create one? 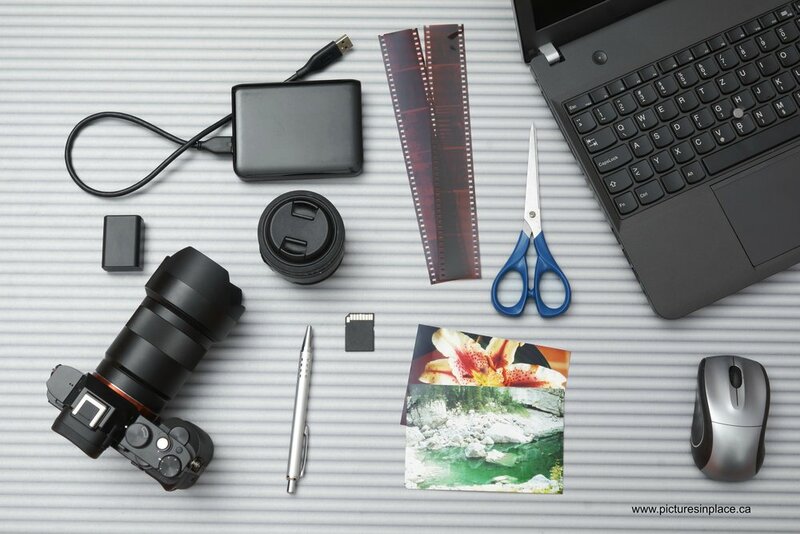 A Digital Photo Hub (DPH) is the one place that all of your original photos are stored, ideally this should be on your computer or an external hard drive. It’s essential if you want to keep your photos organized and backed up! Once you have your DPH set up it’s where all of your original photos will live. It’s dedicated, high capacity, accessible all the time, and intentional - not random. An example is a dedicated folder on your computer or a dedicated external hard drive. Using your phone or online cloud solutions are NOT good places to store your original high resolution photographs. This means that you store nothing but your photos there. Mixing other files in with your photo hub will create clutter and disorganization. Keep it free of anything not related. Create a photos folder on your computer or an external hard drive and keep all other files out. It is a logical place, the first place that you will go to look for pictures. When you want to find a photo you will have one place to look. Our photo libraries are constantly growing so you need to ensure that you have enough space to store your photos. You are intentionally creating a home for all of your photos so they are not scattered on different devices. Storage devices are inexpensive so go for a minimum of 1TB. Make it local, your original photos should live where you do, they shouldn't live in the cloud. Cloud storage can be an option for a backup copy. Plan carefully where you want to store your photographs, don’t take a chance with your memories. It is recommended that you keep multiple copies of your digital library. We recommend the 3-3-2 back up plan. 3 copies of your library on 3 different devices and in 2 separate locations. This ensures that your memories are safe guarded in case of a hard drive crash, flood or fire. Start your new year by creating your dedicated Digital Photo Hub and reviewing your photo backup plan, you’ll be glad that you did.